What can we learn about consumer behaviours behind two popular e-commerce platforms in U.S. and China? Savvy internet shoppers should be familiar with Groupon, an American e-commerce marketplace founded in 2008 that offers group-buying deals (or social coupons), which are substantially lower than market prices. However, there is one condition in getting these lucrative deals – there must be a certain number of people to purchase the coupon before one can redeem the deal. To reach the so-called ‘tipping point’, one would think that buyers who are interested should try to spread the deal to as many people as possible. However, is it really the case? 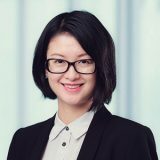 “Surprisingly, we found that people were not that motivated to refer Groupon deals to other consumers, even when the deal was not yet tipped,” explains Prof. Mandy Hu, Assistant Professor of Department of Marketing at The Chinese University of Hong Kong (CUHK) Business School. “We’d expect that if a customer notices the deal is not yet tipped when he purchases it, he is more likely to refer it to others than when the deal is already tipped. However, that was not the case as in our study,” she adds. Her study titled “The ‘tipping point’ feature of social coupons: An empirical investigation” was conducted in collaboration with Prof. Russel S. Winer, William H. Joyce Professor of Marketing of the Stern School of Business, New York University. It is the first empirical study using individual level online browsing data to investigate consumer behaviour in a group buying website. Previous studies have identified the business model of Groupon as a combination of two features: daily deals and group-buying deals. 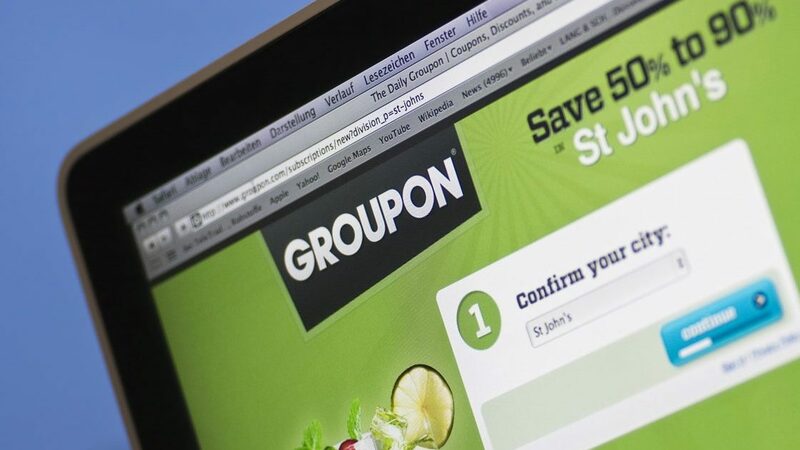 The early Groupon website contained three crucial pieces of information to drive sales growth: first, the ‘tipping point’ – the number of buyers needed to make the merchant honour the discount; second, prior purchase – the number of people who have purchased the deal before; and third, referral links which allow users to share the deal with others. The use of ‘tipping point’ and the information of deal purchase status form a kind of assurance contract – a mechanism proposed by former game theory studies in which people voluntarily contribute specific amount of money or private good to a public good, and the decision to provide the public good is made if and only if contributions are sufficient to reach a minimum amount. Otherwise, the contributions are refunded. “An assurance contract also prompts customers to act as sales agents of the product, as they want to redeem the deals that they’re interested in,” says Prof. Hu. “These changes prompt one to wonder whether those strategies were just marketing gimmicks and whether, in particular, the ‘tipping point’ strategy can significantly affect consumer behaviour,” Prof. Hu says. Setting out to find the answer, the researchers utilized a large proprietary dataset supplied by a third-party online marketing research firm consisting of the complete clickstream within the browsing sessions of people who used the Groupon website between January and March 2011 in the U.S. The team used social computing techniques to extract the detailed information on the retrieved web pages based on the Groupon URLs to observe individual customer behaviour. The researchers constructed three datasets based on the data: behaviour, deal characteristics and demographic. The overall data is 28.2 GB in size, containing 156,425,702 records. There were 186,756 unique individuals who have visited the Groupon website at least once during the sample period. However, the majority of the people did not make any purchase. Surprisingly, when studying the referral behaviour in relation to the ‘tipping point’, the researchers found that the number of referrals for Groupon deals was not high at all: There were only 872 referrals out of the total 114,459 deal views (0.76%). And among the 10,989 purchases, there were only 207 referrals (1.88%). In addition, the team found that among the 114,549 deals viewed by customers, only about two percent of the deal views were referred by personal recommendations through emails, Facebook or Twitter while almost half of them (49.7%) came from a daily e-newsletter sent by Groupon to its subscribers. “These results indicate that the ‘tipping point’ status does not lead consumers to refer the deals to others,” says Prof. Hu, adding that there could be two possible explanations. “Given the customers’ knowledge that most Groupon deals will be fulfilled, they do not worry about the ‘tipping point’. Also, they may worry about referring a bad deal to their friends since making a referral suggests a vouch for the deal’s quality,” Prof. Hu explains. The study also reveals that some deals are more likely to be referred more than others, such as featured deals with limited quantities and deals that came from personal recommendations via emails and Twitter since “personal recommendations seem more trustworthy than recommendations from Groupon e-newsletters,” she says. So, the ‘tipping point’ information may not affect referrals; however, it does affect the likelihood to make a purchase and the time leading to a purchase. Through examining the purchase probabilities during each hour before and after the ‘tipping point’, the researchers found that the average purchase probability steadily increased until it reached the peak, which was about two hours after the tipping point. After that, the purchase probability decreased but still maintained at a higher level than before the ‘tipping point’. “We found that the majority of sales occurred on the first half of the day when the deals were shown, which means people would check the social coupon websites immediately and make quick purchase decisions at the start of their working day. If social learning had played an important role, the sales should have occurred later on to allow the information to accumulate,” Prof. Hu explains, adding that the majority of U.S. consumers, including new and experienced subscribers, make their purchase decisions within 30 minutes of the first view. Prof. Hu believes there are a number of reasons for the three-year-old Chinese company to “emerge quickly as the third largest e-commerce website in China”. “First, Pinduoduo fully utilizes the largest social network in China by partnering with Wechat [owned by Tencent], which makes referrals much easier. Second, its product selection is different from that of Groupon with cheaper products. The average price of their products is also much lower than that in [Alibaba’s] Taobao and JD.com [the two fastest growing retail brands in China]. And low price seems to appeal to a fairly large group of customers in China,” Prof. Hu comments. While her study has proven that social coupons under Groupon’s model couldn’t lead to more referrals, it seems to be working exceptionally well in Pinduoduo’s case. Why? She explains that in Groupon’s case, it is the platform (i.e., Groupon) that determines the group-buying opportunity for the customers. Groupon negotiates with retailers who decide whether they want to work with Groupon or not and under what terms. From the consumer’s perspective, they either take the offer or not. So they are not motivated to refer the coupon to their friends. Lastly, culture also plays an important role in Pinduoduo’s success, the professor notes. “China has a culture of collectivism and conformism, which makes Chinese people willing to purchase the same products as their friends,” she says.